The problem with Crystal (season 1 in particular) wasn't that they changed stuff, it's that they didn't think through any of the changes they made. There were changes that worked (Usagi's dream at the start of Act 1, the girls having a flash of memory upon their first meetings with Usagi, even keeping Jadeite alive so that we could get all Four Kings together in Act 4 I thought was neat), changes that were arbitrary/a bit of a letdown (leaving Moon Twilight Flash unnamed, not including Rei's grandfather), and changes that were a disaster because there was no room in a 1:1 adaptation to develop them (SenxShi pairings) or because they created plot holes (Usagi not being a victim of the mass brainwashing this episode, the Four Kings being destroyed by Metallia in Act...12? 13? I forget which - yet Mamoru was still spared from being killed because he had their stones in his pocket???) or because they were the absolute most embarrassing thing I have ever witnessed in all my days (Usagi has to stab Beryl's necklace to defeat her now? Really? Are you actually serious right now? How much crack are you doing?). It was all just so amateurish. They refused to think through how their changes would affect the story or if there was even time for their changes to be implemented. 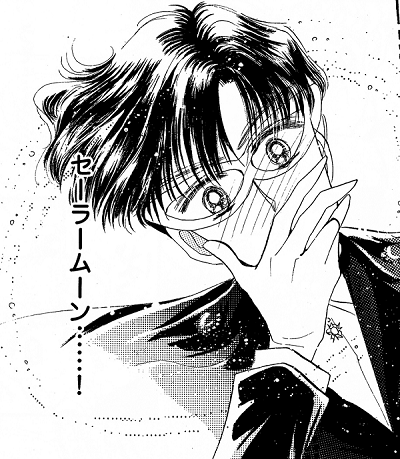 Like, I'd love to see a version of the Dark Kingdom arc that incorporates the Sailor V manga's story/characters, but it would make zero sense to try that in a 1:1 adaptation. The idea of SenxShi pairings can work (see: La Reconquista), but not in a 1:1 adaptation of a work that didn't include such an inherently major storyline in the first place. Plotting... Rational thinking... These things aren't difficult, Toei, I promise. I have to agree, Memento! Your post made me aware of all the changes Toei made when they adapted the Dark Kingdom story arc for the first season of Crystal; good, bad, and ugly. I really think they didn't plan at all. They started strong writing-wise for the first few episodes, while they had time to plan carefully all the changes, but at some point they started rushing it. Crystal was supposed to start in Summer 2013, but Munehisa Sakai stated in an interview that he was asked to helm the project by the producer in spring 2013. This, combined with the strange release schedule, animation and writing errors shows how rushed Crystal was. What I like in Season 1 and 2 is that at least initially they tried. They had idea and conception, I really like the designs, the art direction and vision as a whole. But if they had more time to work on it and plan it better it would have been executed and shown in the final product. Nobody know why they waited till spring 2013 to even start talking with a director for the project, or were there different plans that got rejected and canceled so the whole thing was so rushed. If they started working on it soon after they announced it and used this time on it properly, the final result could have been very different, as some glimpses of genius can still be spotted here and there in the whole mess. To me it comes off as folks not invested in the show as they should be. Like you have people who know who Sailor Moon is but not what makes Sailor Moon, Sailor Moon. There are some shots in Season 1 & 2 that are downright gorgeous. They look like movie quality. 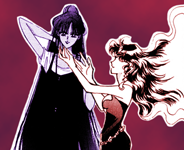 And then you have episodes like in Black Moon..the last shot after Sailor Mars gets taken by Ruebeus. It was a terrible shot and Mercury's legs looked the fool!! I also think the writer may have underestimated the brain capacity of Sailor Moon viewers because the pairings were weird. I may be the minority but I was very upset when they tried to push the REI & Jadite thing. Either was bad writing or something that Naoko wanted to see...or both. Scratching my head about the Sailor Planet Attack Healing thing....but um, okay. We're these close shot intentional to hide unfinished or even worse art or backgrounds? Seems like an odd choice from a veteran director. Well, he was not really veteran. He did episodes, but not a full series and he had a short time to do it. I still think he started too ambitious, ignoring budget and time restrains that came to bite him. Chiaki Kon was way more aware of what she was doing, so she trated some of the splendor for a less detailed designs for the sake of consistency. Now with a movie budget and all the time it takes, I hope she and Kazuko Tadano could achieve both. Third time is a charm. God bless Pretty Cure for keeping Akira Takahashi away. i don’t if know more time would have saved Crystal from all of its huge issues. Better animation, certainly and possibly direction. But it shouldn’t take months to realize that the Shitennou subplot would not have worked in a strict 1:1 adaptation of a manga as Memento mentioned. There just felt like a lack of passion in general. Even the composer, whose work I generally admire, pretty much phoned it in by copying the score he did for Smile Precure. God bless Pretty Cure for keeping Akira Takahashi away. Yes, the worst thing about season 3 was the character design, no doubt. No, the worst thing about season III was duping us into thinking they'd learned their lesson about pacing/time management with the first half of the season (e.g. doing Act 27 as a two parter) only to spend the rest of the season using every scrap of stock footage they had each episode and starting each episode by replaying the last five minutes of the previous episode. They literally blew an episode worth of screentime recycling footage. I still rage thinking about it. This is not just with Crystal. It goes all the way to Naruto and Jigoku Shoujo. He is good, but overused. About the time I meant they were probably rushed to do the scripts and start working on it which further hurdled the quality. I wasn't addressing the Shitennou specifically, but the way thhey died could hae been a product of this. Anyway guys, let's stick to episode 6.I hae a feeling they had one purpose - don't let everyone look better than Usagi. Just never. Here is the frame. ^ The TV version looks better. 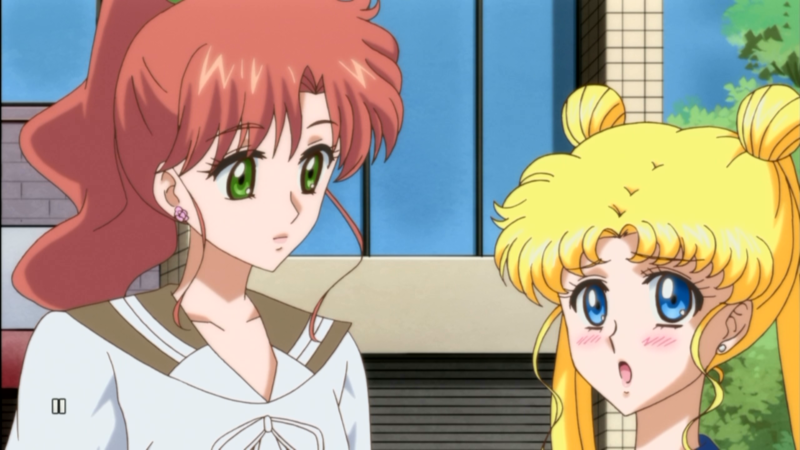 Even if Usagi is technically off-model, at least her face is expressive. Her hair is a little crudely drawn, but that's not a huge deal. Even though the Usagi in the second pic is technically off model, I much prefer the way she looks. Less angular and more her age. And yes expressive. If someone would just take the odango from the first shot and put it on the second, the TV version would have been perfect. But remember guys: these are the same people who put not one, but TWO pictures of Tuxedo Mask's lopsided face from Act 1 in the visual mook, and who edited that scene for the BD by adding sparkles instead of actually fixing his face, so they clearly have no idea what they're doing. Ok, Crystal, give me Minako already! Seriously thiugh, while this episode is a mild improvment over the previous, it was so unneded. If I and probably most of you directed this, I would have merge these two acts. Did we really needed the last episode panding with all the plotholes it introduced? Sure the reveal of Mamoru as Tuxedo Mask was a big deal, but in anime form to have 5 minutes of this awkward shots of Usagi bare feet instead of some actual aw inspiring romantic moment felt so stretched. This episode was all over the plase when it comes to story boarding. Is it down? Is it twilight? Is it day or evening? How muchtime has passed? Where did the whole crowd of people Usagi just healed disappeared all of a sudden? 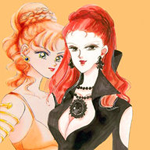 Who harmed Jadeite - Minako or Artemis(it is clearly the latter although u have to pose to really see it) While the whole rental shop plot felt ancient I guess they are still a thing in Japan. I have heard they are pretty nostalgic despite being the tech heaven. But it was strange, considering the show was streaming service exclusive. It could have been updated, but it is not my main problem with the episode. My main problem was the introduction scene where a lot of frames were so weirdly composed. I don't thing the cheesy declaration of love was needed her as it was dumb. I mean you are showing her you love her and she is what you want. Why declaring it in front of everyone, including the villain, while using her name? Same goes for Usagi. It was cheesy, it ate time. These two episodescould have be combined as one to avoid the fillery feeling and the time could have been using developing characters and storylines. Everything, down to the Dark Kingdom plans, was interchangeable. Nobody would have been hurt if we didn't have to episodes called bbasically Tuxedo Mask. Did they really had to ruin Minako' s introduction with that sloppy haor animation? Overall, an ok episode, much better than the previous one, but still not great. Mars and Jupiter attack Zoicite with fire and lightning while he's still holding Usagi...Cracks me up every time. 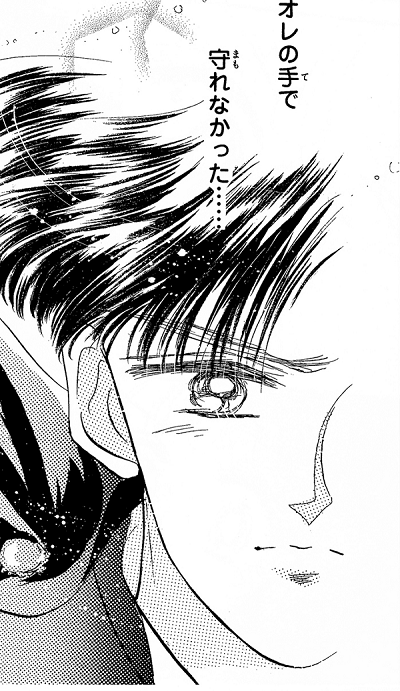 And apparently Usagi has some super mega vision if she managed to see the crescent moon on V's forehead while she was standing on the top of a skyscraper. I would have merge these two acts. Did we really needed the last episode panding with all the plotholes it introduced? Sure the reveal of Mamoru as Tuxedo Mask was a big deal, but in anime form to have 5 minutes of this awkward shots of Usagi bare feet instead of some actual aw inspiring romantic moment felt so stretched. These two episodescould have be combined as one to avoid the fillery feeling and the time could have been using developing characters and storylines. Yes, acts 6 & 7 needed to combined into one episode. I agree! I thought it was a good idea. I thought this episode was okay. I just hated how it was set up though. 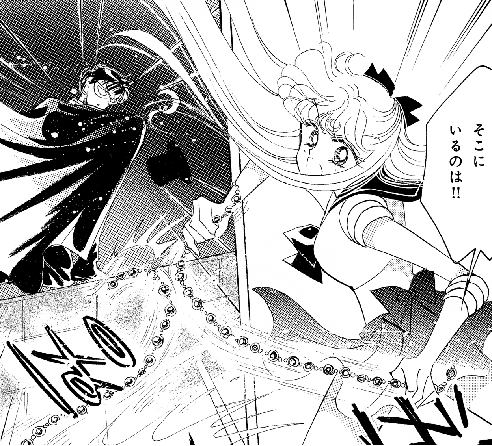 Also, despite Mars and Jupiter attacking with Sailor Moon in range, I love when they do those real time attacks tho. I like when Mars used fire with one hand and swirled her other hand to make the fire stronger. Ok, this was overall a good episode. It introduces my favourite senshi after all. Minako reminds me a lot of Mami from Madoka Magica. I like how they explored a bit her lone wolf traits as well as her impulsive nature and recklessness, as well as her feel of guilt and duty. She is definetely haunted by her past failure. Too bad they changed the way Beryl died, it was a nice build up of ger finally proving herself a worthy leader. I really liked and disliked the scene with her neeting the girls in the way to Makoto. It further show her as one woman team, while also implies the girls do slumber parties. 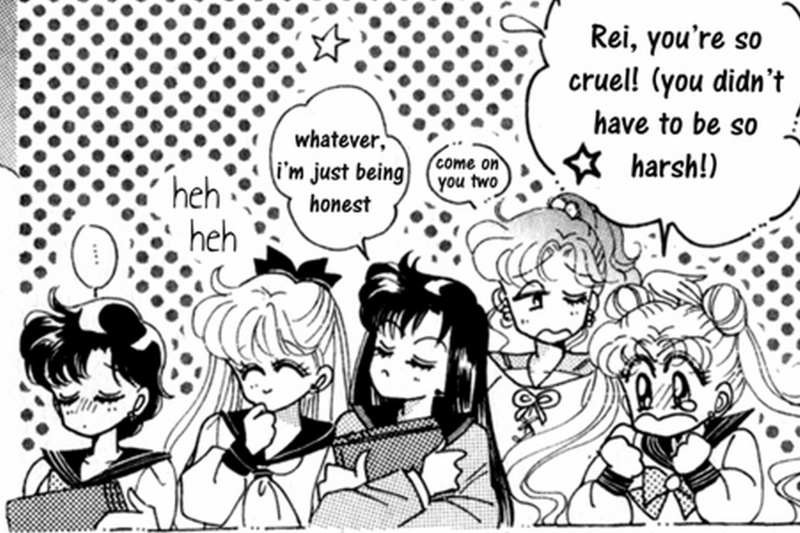 But I wanted to see these and I missed the manga take of a more easy going Minako and the quarrel of Rei and Usagi over her. Well I hate it was altered n9t so mich to establish Minako as a loner and fighter, vut just to have one completely meaningless interaction with Kunzite. The show suffers a lot from this shittenou ideas and even though I consider Venus and Kunzit more legit than the rest I still don't find it justifies the changes. Overall god, but slightly exposition heavy episode that could have used some flash backs instead of stiff talking.This is the only transformation in Crystal (all seasons) that I like. Sigh. I wish the first arc of Crystal was at least 24 episodes long and actually explored each of the girls' character in detail. I liked what this episode was going for with Minako, but it just felt so rushed. They should make 2-part movie for each arc. Some chapters should last no more than 12 - 15 minutes, while some others should be expanded. Sometimes, we need simultaneous dialogues. They don't have to wait the other to start their lines. I think the movie format will prove to be horrible idea. They need more time to work with, not less.